Robert Vadra is a lucky man. A very lucky man indeed. People sell land to him and do not demand money in exchange immediately. This is not money running into a few thousands or a few lakhs, but it’s more than a few crore. State governments give him information for free on where their projects will come up, so that he can get into the act early. 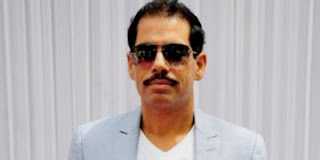 At least two government, Rajasthan and Haryana, seem to be eager to help Vadra’s business ventures. Today’s edition of Business Standard explains how it all started for Vadra. How the son-in-law of the first family of Indian politics got into buying and selling land.